WAYNE, Pa., — Bracket, a leading clinical trial technology and specialty services provider, today announced the appointment of Michael P. Nolte as Chief Executive Officer. The company’s current CEO, Jeff Kinell, will remain on the Bracket Board of Directors as a strategic advisor. 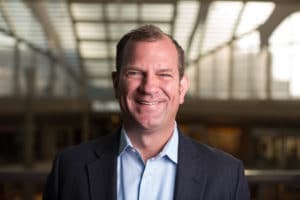 Mike Nolte is a seasoned industry leader who joins Bracket after serving as the Chief Executive Officer of Influence Health, where he led the strategy and delivery for the Consumer Experience Platform, supporting consumer-centric, digital healthcare. With a career spent at the intersection of healthcare, technology and service delivery, Nolte’s breadth of experience, strategic insight and proven track record align well with Bracket’s goals as it continues to invest in science-based, clinical development technology and service solutions. Prior to Influence Health, Mike served as the President and COO of MedAssets and spent 7 years at GE, where he led GE’s Healthcare IT Service Business in the Americas, served as the GM of GE’s Enterprise Revenue Cycle Business and led business transformation activities for GE’s Chief Information Officer. Mike’s early career included five years with McKinsey & Company and six years as a U.S. Army Officer. He holds a Master of Business Administration degree from The University of Chicago Booth School of Business and a Bachelor’s Degree from the University of Notre Dame.